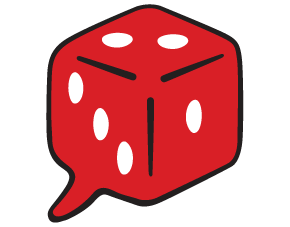 We created The Die Is Podcast to be a way for us to talk about video games, board games and role-playing games: their strengths and weaknesses, intricacies of play, the ways they relate to other games, and how we relate to them. We were basically having those conversations anyway, and we believed that they were worth sharing. We want to express the experience of playing these games is, why we enjoy them (or why we don’t) and why you might want to try them. We aren’t salesmen, and we don’t want you to take only our word when it comes to specific games, but we want to be a part of the information-gathering process. We strive to be informative; nothing is more frustrating than a “reviewer” saying “I don’t know, I really liked it” as if in surprise of their own tastes. We always know, and we always tell you, and if we don’t know, we wait until we have it figured out. We do not accept payments, we do not do ads, and we do not accept gifts. When we do receive a game or other product to try for the purpose of having an informed opinion, any free stuff gets donated or given away, whether we love it or not. We are beholden only to our own tastes and what our listeners want to hear us discuss. We sometimes talk about new games, but we also sometimes talk about old games. The publication date of something has very little bearing on whether we want to play it, and even less on whether we want to talk about it. We want to set and be a part of a higher standard for podcasts, reviewers, and armchair ludologists. Criticism and analysis is hard to do well, and we hope that we offer a unique outlook. And we truly want to be held accountable by our listeners when we could do better. We are not simply handing out pronouncements about games and gaming from on-high; we want your feedback and commentary as well.